An ideal summer experience for children entering grades 1–6 who can benefit from five amazing weeks of reading, writing and executive skills instruction and strategies, recreation, design thinking and confidence-building activities. Their PreK–8th grade program is designed to reinforce academics, with an optional afternoon program focused on recreational activities, including swimming. The 9th–12th grade program offers a choice of small group support or a program designed to broaden students’ reading and social comprehension. Visit their website for more. 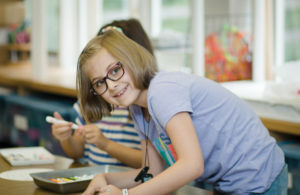 The Delaware Art Museum’s summer program for children ages 6–16 provides a creative experience with professional instruction in a fun and relaxed atmosphere. Contact Rebecca Howell at 302-351-8551 or visit DelArt.org. Campers get to work with live animals from the Museum as well as birds from a partner organization, Animal Behavior & Conservation Connections. Hands-on, interactive learning and play, with time outside in the meadow, garden, wooded hiking trails and wildlife blind, plus inside the Museum’s galleries. What could be better than spending your summer outdoors just being a kid? This camp offers nature-based activities like swimming in a creek, hiking, exploring the forest, cooking, caring for farm animals, working in the garden and lots of free play and fun too! Grades PreK-7. 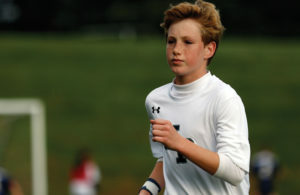 Malvern Prep offers day camp, sports camps and summer courses for boys and girls on their beautiful 103-acre campus. The camps are designed to help your child get ahead, try out a new sport and make new friends, all while having fun! Before- and after-care available. This fun, hands-on camp focuses on social skills, team building, science experiments and nature while integrating reading and math. Children will have the opportunity to foster new relationships, enrich academics, nurture a sense of discovery, and explore adventures in nature. Children from all schools are welcome to discover the wonders of the 50-acre campus. Pennsylvania Theatre Institute is a summer performing arts program located on the campus of West Chester University. Taught by university professors and working professional artists, their Young Company day camps for ages 8–14 and Pre-College Intensive for high school students are safe, supportive and playful environments where young artists of any experience level are welcomed. Wilmington Friends Summer Camp provides high-quality programming for campers age 3 through rising 9th graders, including sports, art, STEM Design and tech, and adventure camps, plus swimming, ice skating and bowling. 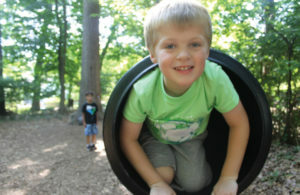 They are one of the few camps in the area that offers camp from 8:30 a.m. to 4:30 p.m. daily.